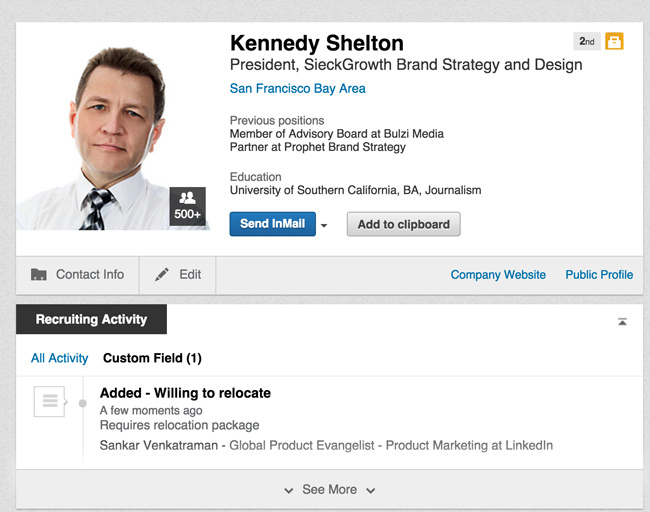 LinkedIn Recruiter isn’t just a tool to find and engage talent. Recent enhancements, such as “custom fields,” allow users to build richer prospect profiles, transforming the product into a central platform for candidate information – viewable and searchable by members on your team. For example, while anyone can see a prospect’s education and work history on their LinkedIn profile, a recruiter would like to know the prospect’s current and desired salary range or their willingness to relocate - information that is typically only available once you have had a conversation with the prospect. Custom fields allows you to capture this information and save it in a place that is private, yet easily searchable and accessible to only members on your team. Examples of this could include a prospect’s work authorization status, nationality, security clearances, desired salary range or their willingness to relocate. 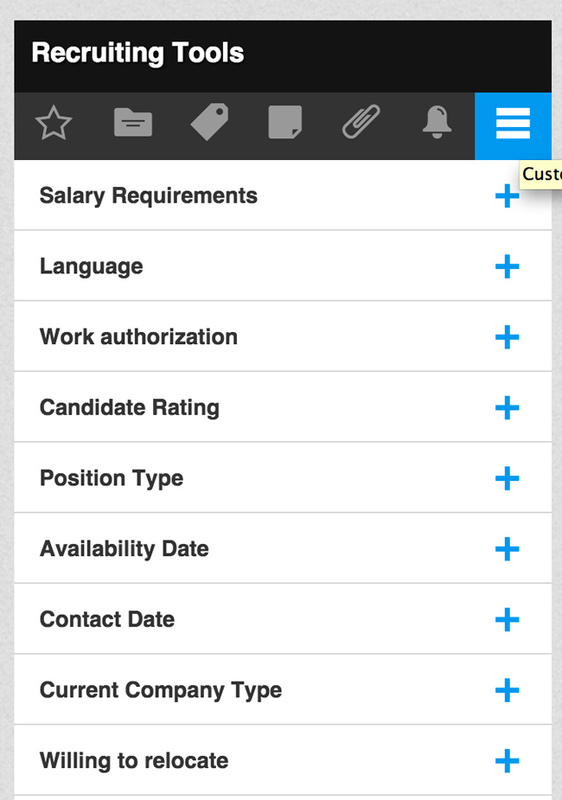 Any or all of this custom information can be captured and made searchable within Recruiter for only the members on your team. click the “custom fields” button under the “Integrations” toolbar. From here, you can either create new custom fields or edit your existing custom fields. While we have some often-used custom fields suggested for you, you are free to create any others that you’d like. Your custom fields, as the name indicates, are customizable and can have any field name. The values can be any alphanumeric combination, including text (e.g. Willing to relocate? – Yes or No), numbers (Desired Salary - $90,000 - $110,000), list of values (Work Authorization – Citizen, Work Permit needed, H4 visa, Student visa), a date range (December 13 2015) and so on. 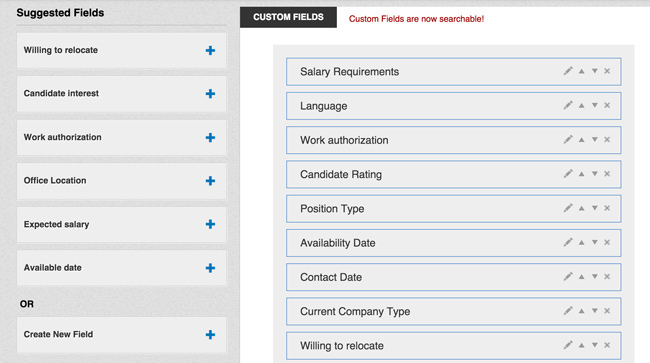 Note: This custom fields feature is editable only by Recruiter users with administrator rights. Once you’ve built your custom fields, it’s time to start taking advantage of them. After you talk to a prospect­­, you can access those custom fields by clicking the three-lined button on the “Recruiting Tools” toolbar on the top right hand corner of their profile page. If you click that button, the list of the custom fields you built will appear. To enter information in a particular field, click on the blue plus sign across from the field. See the example below for entering the information on a prospect’s willingness to relocate. That information now appears on their profile page within LinkedIn Recruiter in the “Recruiting Activity” section under the “Custom Field” tab (pictured) and is now available for everyone on your team. Once set up, you can search for profiles using these custom fields as a filter. 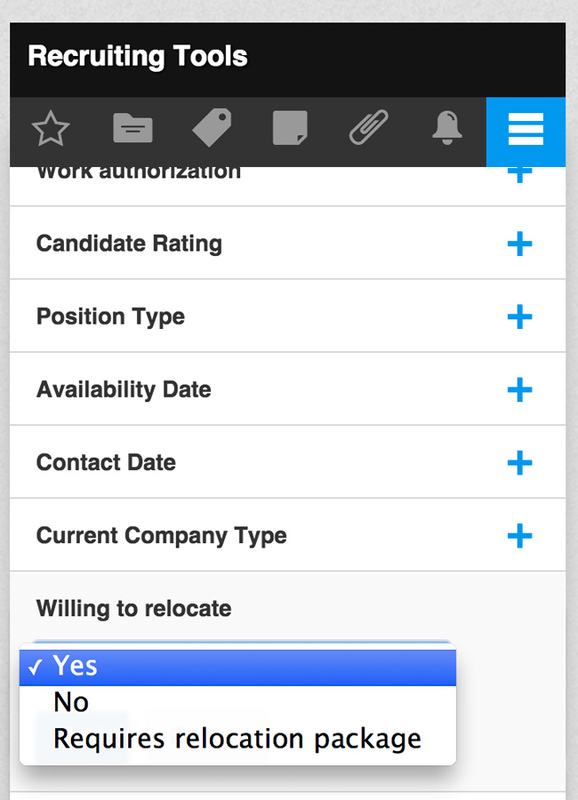 For example, if you only want prospects who have expressed a willingness to relocate, you can add that filter and only profiles with that setting will appear in your search (pictured). 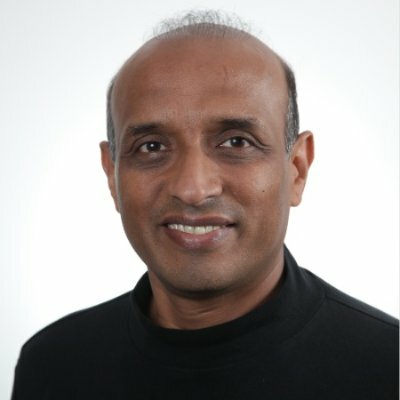 Next time you want to track a unique piece of data for a prospect, you can use the custom fields functionality in Recruiter. It will not only enrich the profile information, but will also save you time by making your searches more efficient.